When it comes to Han Solo’s encounter with Greedo, true Star Wars fans know that Han shot first. Now you can show that message to the world as you sip your morning cup of coffee! 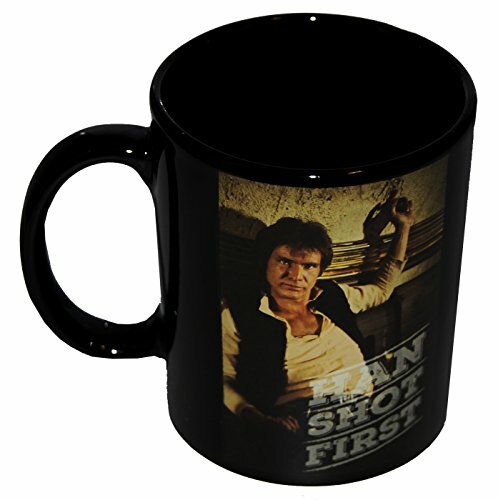 Ceramic mug features everyone’s favorite smuggler with the text « Han Shot First ». Officially-licensed Star Wars merchandise.